Scott Safety – subsidiary of 3M Gas & Flame Detection – is one of the major players in the respiratory protection industry (essentially for asbestos and civilian & military protection) with gas masks, respirators, airline systems and self-contained breathing apparatus. 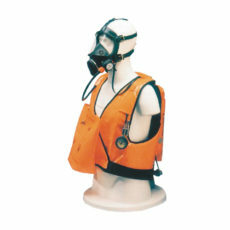 Specialized in respiratory protection since the 1940’s, Scott Safety – subsidiary of 3M Science Applied to Life – provides a whole line of filtering respiratory protection devices (gas masks, air purifying respirators), specific filter cartridges against gases and particles (including asbestos) and atmosphere supplying respirators like airline systems and self-contained breathing apparatus. 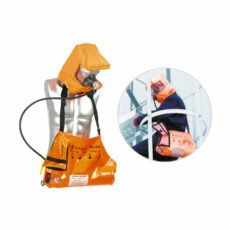 Scott Safety products are mainly used in asbestos removal, chemistry, steel and food industries. 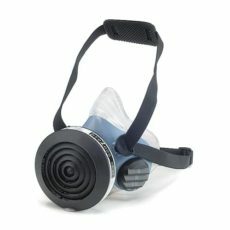 The brand offers a large range of high quality filtering respiratory devices (half-masks, full face masks and respirators) with a huge panel of RD DIN 40 filter cartridges (40 mm universal thread). For more than 30 years, technology research and product development responding to customer requests led Scott Safety to produce an adaptive and responsive range of devices able to respond to and forecast the growing needs of firefighting services. The company has now become a leader in this field with more than one million firefighters equipped with open circuit SCBAs (self-contained breathing apparatus) throughout the world. 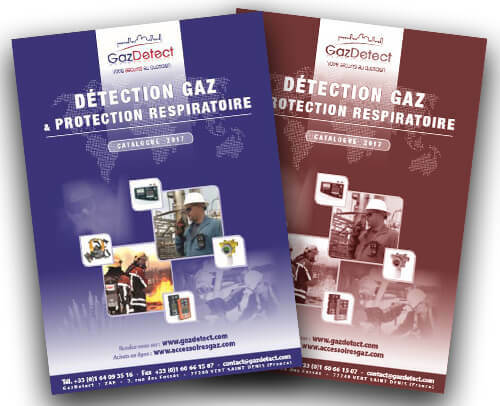 Scott Safety also produces a range of portable gas detectors (like the Protégé ZM disposable detector, the Protégé SG single-gas detector and the Protégé 4 gas monitor) and fixed gas detectors (with the Meridian® ATEX SIL2 range well known in petro chemistry). 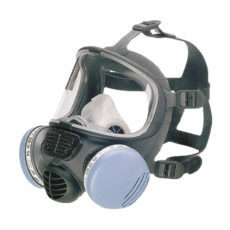 Scott Safety – subsidiary of 3M Science Applied to Life – is a key partner of GazDetect for its technical expertise on asbestos (P3 masks, respirators and airline systems), its very large range of RD DIN40 filters available for the industry and its, very popular amongst firefighters, self-contained breathing apparatus. 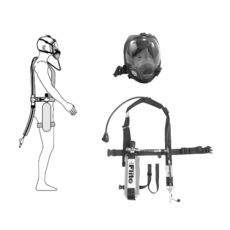 Known as one of the world major emergency evacuation breathing devices, the ELSA self-contained breathing apparatus has been designed for quick evacuations from industrial and marine hazardous environments. 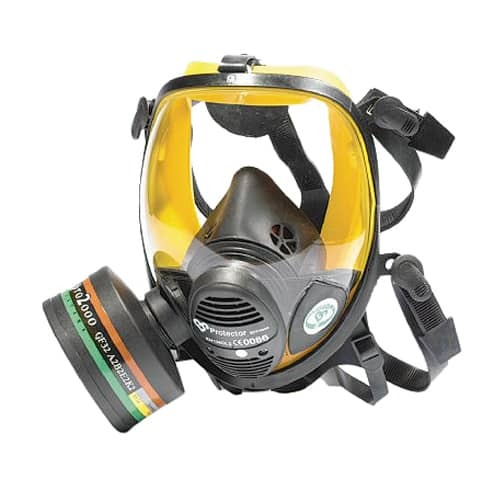 PROMASK2 is a full-face gas mask with two filters providing exceptional balance and presenting an extremely low profile for close-up or restricted access working. Compatible with Pro2 filters range. 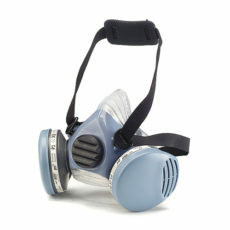 CE approval : EN136 (gas mask standard). The wide, flat faceseal is similar to that used on full facemasks and the bellows sections at the nose and chin absorb movement to ensure the seal is not disrupted during use. Adjustable pressure band according to the wearer face morphology. The facepiece is moulded in LSR, combining the comfort and flexibily. Adjustable head harness (available in two different sizes). 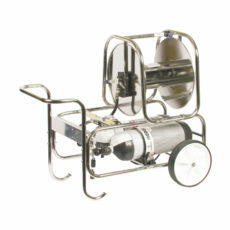 The Tornado powered air purifying respirator range offers the world most versatile respiratory protective solutions. Robust and versatile, the breathing air cart is composed by a stainless steel lightweight hose reel and a cylinder holder that can be used separately. 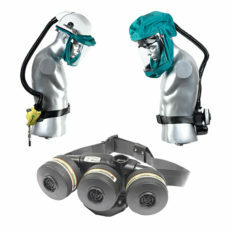 FLITE respiratory protective equipment is well-suited for many industrial applications where the oxygen rate cannot be guaranteed.